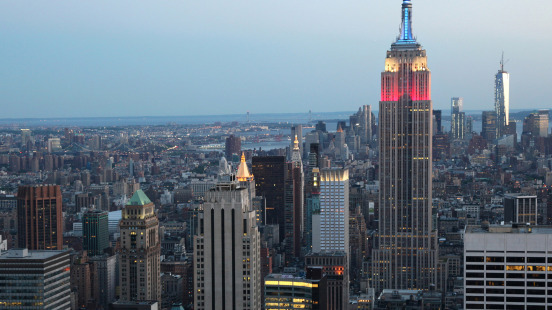 A New York icon, the Empire State Building reaches 103 stories into the sky. This skyscraper one of my favorite landmarks in NYC. The top of the building has been lit up in many different colors for all kinds of reasons, including celebrations, remembrances and honors…in this photograph the building displays the traditional American red, white and blue.